Wagashi & Matcha Class "sakura"
Welcome to Wagashi & Matcha Class "sakura"website! The Japanese traditional confectionery "Wagashi",are one of the most important part of Japanese food culture and traditional culture called Sado(traditional tea ceremony). "Wagashi"developed,on the one hand as a complement to the taste of green tea,and on the other hand as snacks of the ordinary people. The traditional "Wagashi" are mainly made from plant ingredients such as azuki beans (small red beans),some other beans, rice, wheat flour, sugar, dried fruits and some seaweeds. 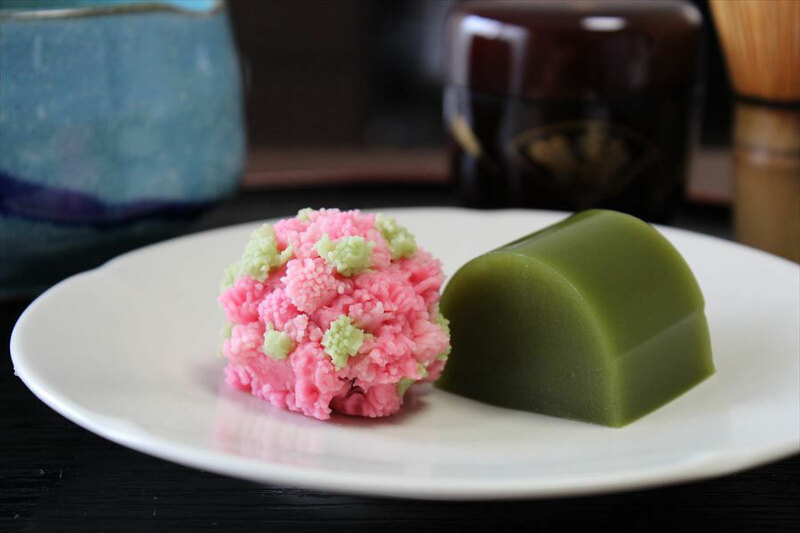 The "Wagashi" which are commonly served for the traditional tea ceremonies are called "Jyo-Namagashi",that means "special fresh confectionery". They are made by the maximum consideration of craftspeople,not only the tastes but also the colors and shapes in detail. We, Japanese feel the changing seasons through the seasonal Wagashi and have sympathy with others.The motifs of Wagashi are mostly seasonal plants,flowers,birds and natural scenery. If you have chance to try them in Japan, please enjoy the beautiful appearance and delicacy which we Japanese have loved for a long time ,as well as the taste.